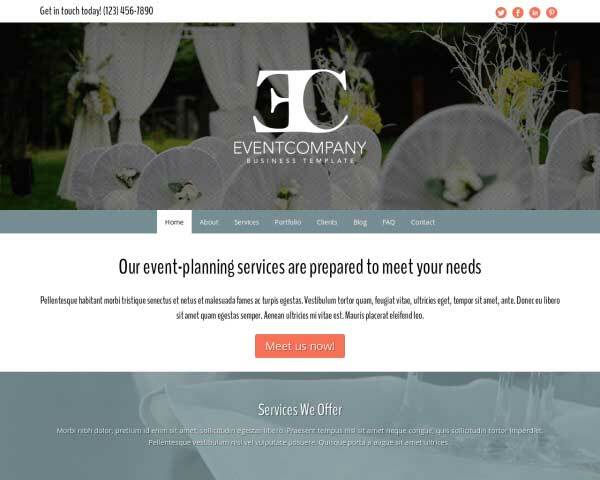 Start with the Event Company WordPress theme to quickly create a professional online presence for your party planning business. 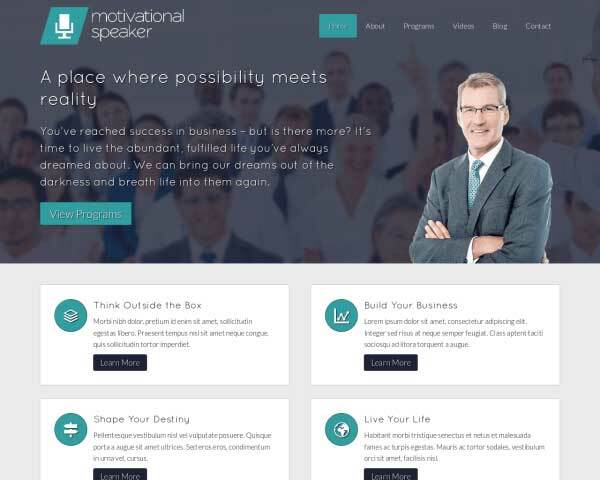 With elegant design and powerful business features for event planners, all that's missing from this pre-built website template is your own photos and text. 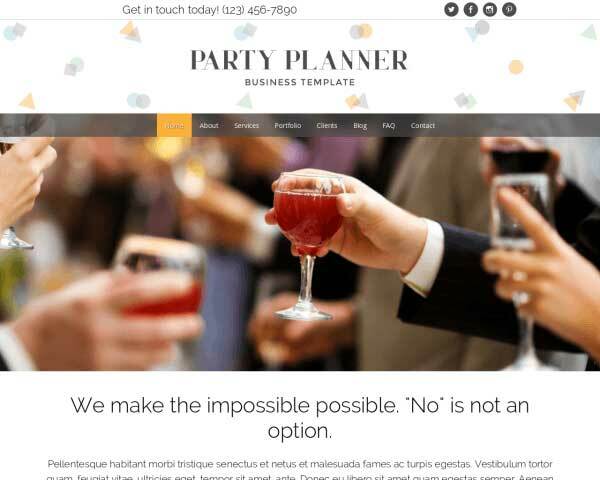 Show off your flair for party planning with a sleek website that shows clients what you can do for them. The Event Company WordPress theme is designed with an elegant, appealing look and a clean layout that sends a message of style and professionalism. Display your photos in this website template's gorgeous full-width image galleries and replace the demo text on pages already set up to present details about your services. 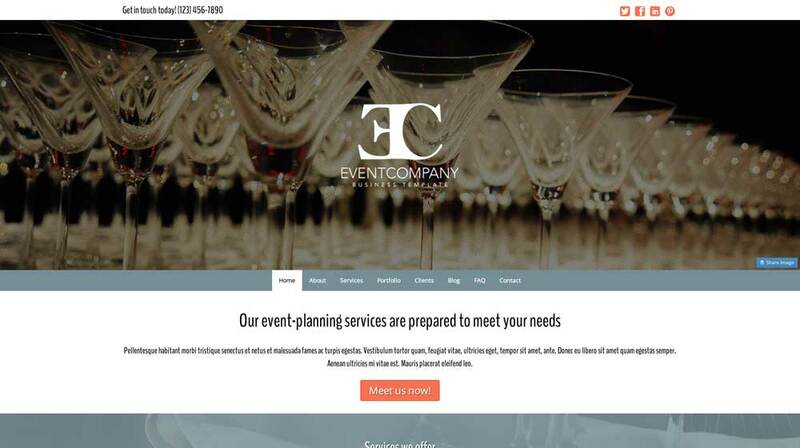 That's all it takes to get a complete event planning website online fast! We've also included pages for your company profile, client list, FAQs and even a few sample blog posts. Conveniently change the color scheme and adjust page layouts with just a few clicks. Our intuitive front-end editing tool allows you to customize the look and feel of your site without any coding at all. 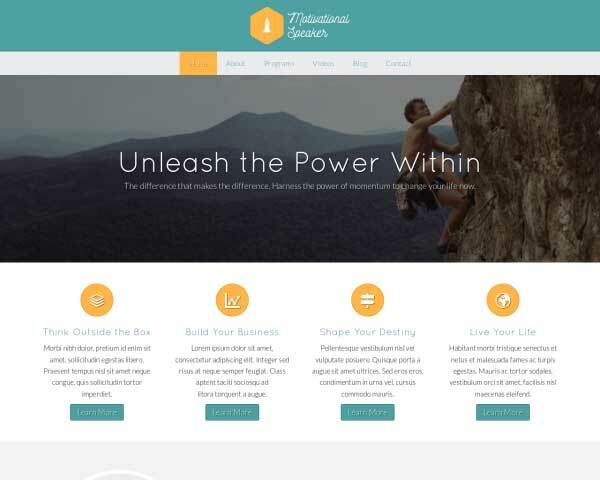 Take advantage of this premium WP theme's powerful business features like customizable contact forms, integrated social media and a helpful SEO manager. The Event Company WordPress theme makes it easy to create a professional online portfolio that attracts new business, even if you've never built a website before. 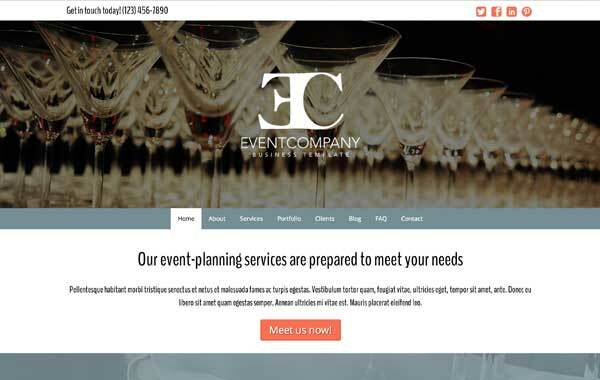 Before creating the Event Company WordPress Theme, we researched to find out the specific business needs of event planners in order to offer you the best match for your business. 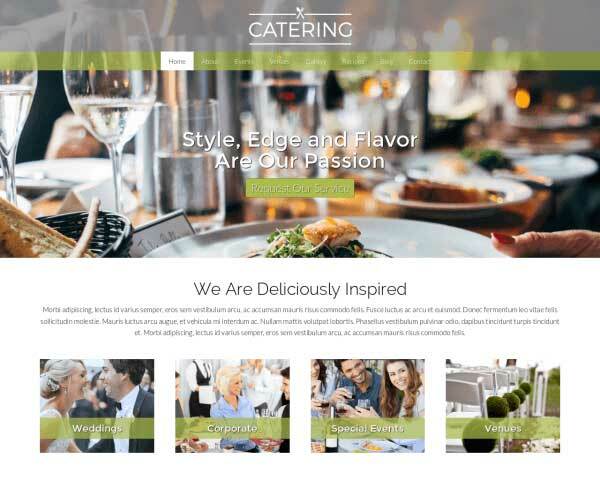 The Event Company WordPress Theme offers placeholders to show engaging visual stimuli in combination with textual call-to-actions. Think about the biggest problems of your target audience and offer your solutions. 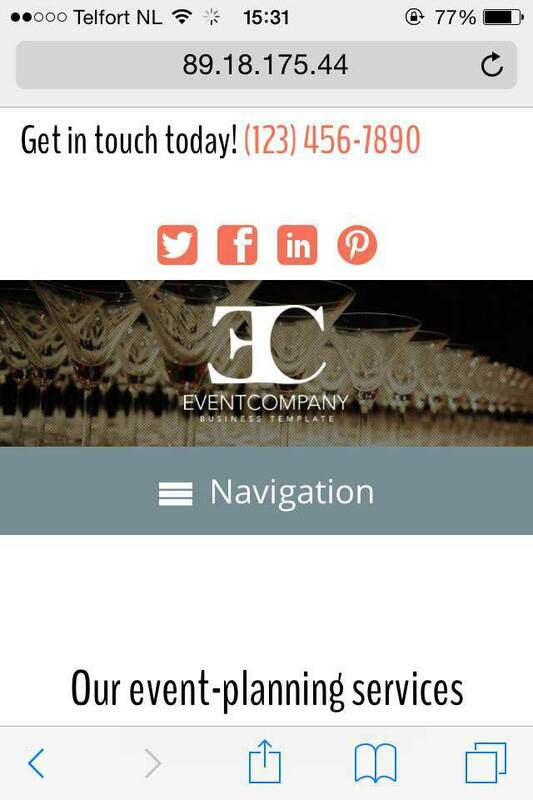 The contact page on the Event Company WordPress Theme includes space for your contact details plus an integrated Google map, route planner and built-in form. Showcase your photos on the Event Company WordPress Theme with two-, three- or four-column image galleries. Clicking on a thumbnail opens the photo in an elegant lightbox slideshow. The Event Company WordPress Theme's homepage is laid out rock solid. With a beautifully symmetrically aligned service overview for you to showcase your particular skill-set. The Event Company WordPress Theme comes with icons for the most popular social media platforms. Visitors can connect with you online or share your content on their own pages. 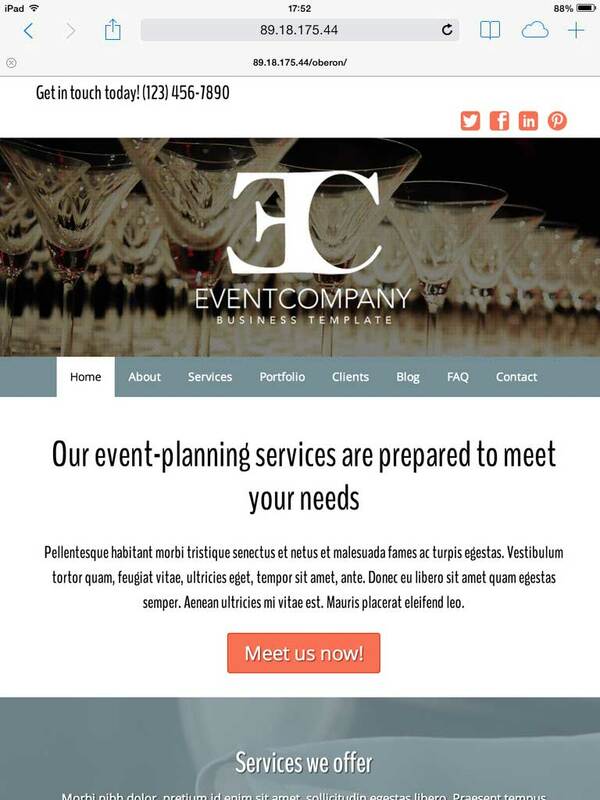 Introduce your team of event planners on the about us page of this pre-built WordPress theme. 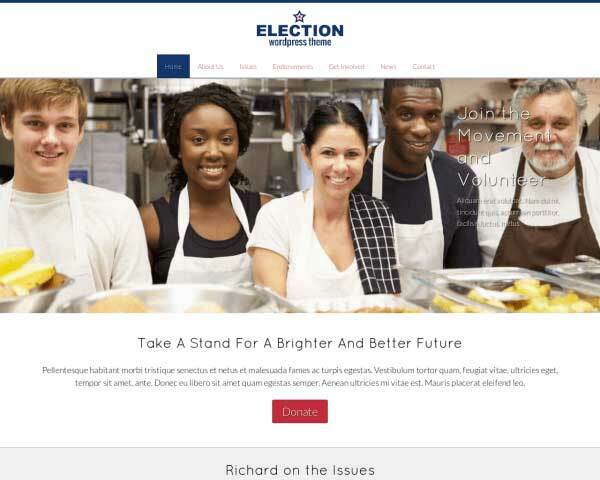 Including photos and short bios gives your website a personal touch. When you build your party planning website with this responsive Event Company WordPress theme, the mobile version of your website will impress prospective clients at every screen size. Visitors using smartphones and tablets will enjoy full-width image galleries and user-friendly navigation, plus the ability to simply tap your phone number to dial or tap your email to open a new draft. Our mobile-optimized design will automatically adjust the layout of your content to display beautifully on all handheld devices without any tedious coding or plugins required.